classroom, demonstrate understanding and focus students' attention. Animiz interactive cartoon maker is an amazing tool to spread messages. As students will feel boring with a long text, static presentation, then you teachers can turn the learning materials into pure awesomeness in classroom. 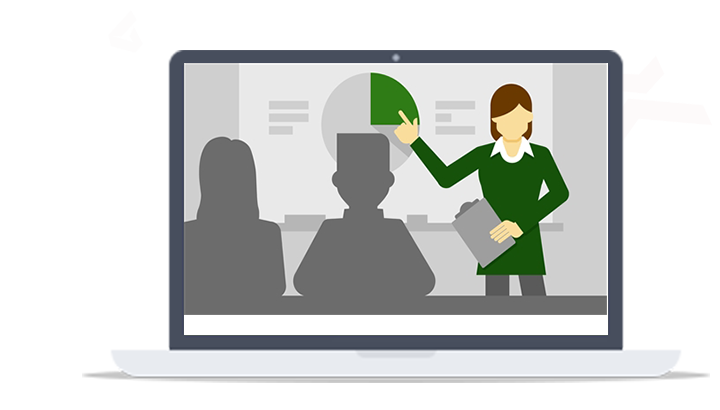 You will design an eye-catching video presentation easily and quickly, bringing lessons to life with animated contents edited. This software can be your powerful weapon to fight distraction in class and grab students' attention. It is beneficial for closing the relationship between teachers and students. Freely download this software and flip your classroom! You will never worry about the design skills. This video creator is suitable for all levels to create, edit and share beautiful interactive video presentations. 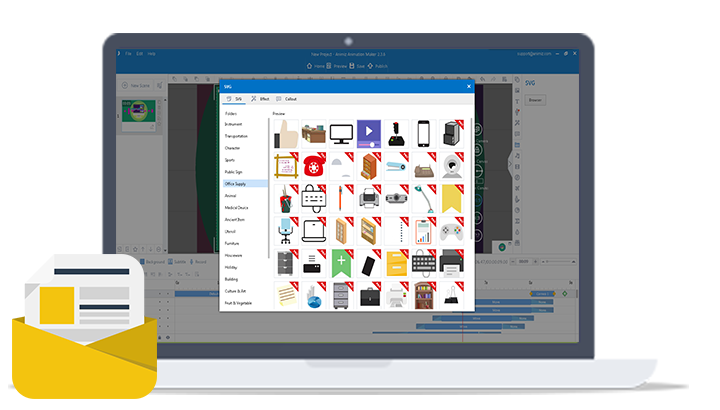 Simple editing interface inspires you to import your own photos, videos, text, sound inside, then you could arrange contents with a simple drag-and-drop. Every element in your videos can be dropped and dragged into canvas directly. All are completely customizable to make videos engaging. Besides, through dragging and dropping, you can add pre-designed characters and objects in blank scenes. "It is no secret that animation is a powerful instrument when it comes to explaining difficult topics." 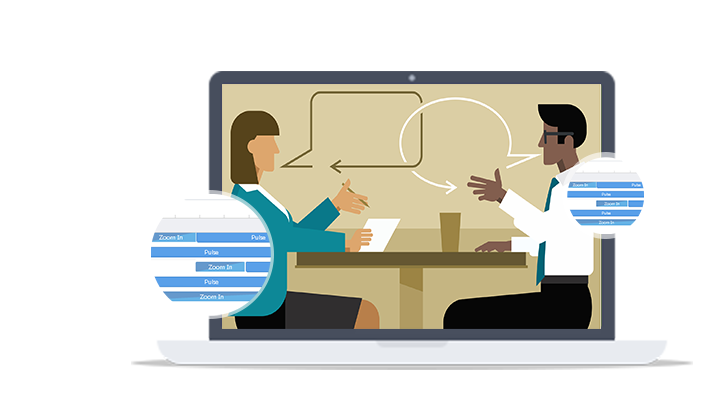 Animations give the power of visual storytelling, then students will easily catch your points and understand well from animated video presentation. 300+ lively animation effects, especially moving and hand-drawing will make your teaching stylish and unique. A whole new level for modern teaching? Start to use animation presentation to create a modern learning atmosphere for students. 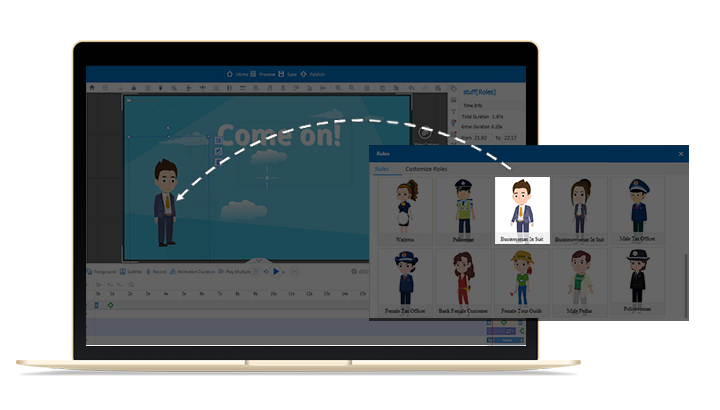 When you are busy with lessons preparation, Animiz cartoon maker for teachers therefore offers you rich stock library to create interactive video presentation. Hundreds of free assets like roles, effects, backgrounds, SVGs, and SWFs will make your presentation look awesome. Moreover, a variety of callouts are availabe for content emphasizing and tips giving in learning. Students will be sure to watch your video presentation till the end as you make it media rich. Three ways to start creating videos: new empty project, online templates and new project from PPT. Simple drag-and-drop to enhance videos with text, sound, videos, images, callouts, shapes, roles, etc. Add subtitle and recording in videos. The resonant enjoyment benefits capture wider attention. Timeline management. Adjust contents in canvas, design their presenting orders and animations. Publish as .mp4 format, it is convenient to share anytime and anywhere, on desktop and mobiles.